Named after the galaxy nearest our own, Andromeda Quintet brings adventurous listening experiences to audiences of all ages. 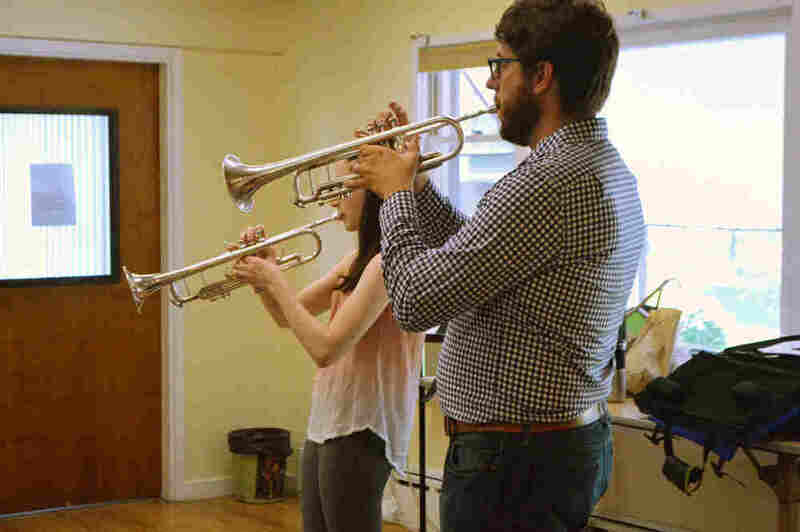 The group brings together five of Boston's most dynamic musicians and educators. 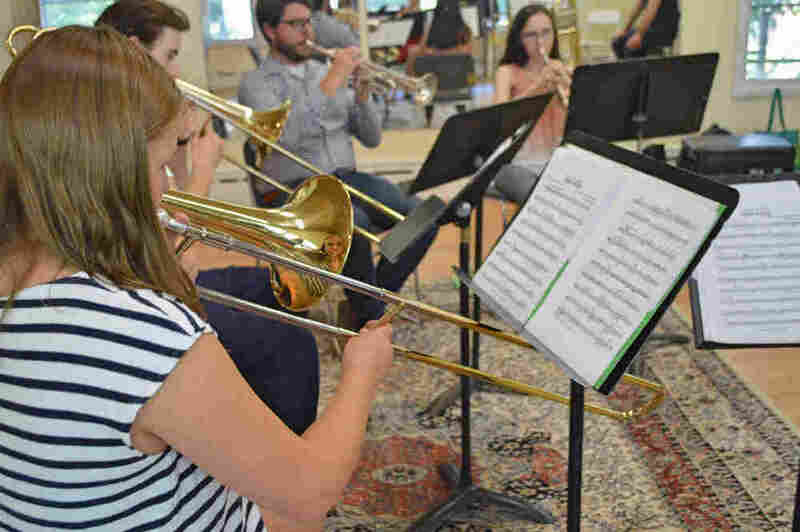 Their members have performed individually with diverse ensembles throughout North America, including: Boston Symphony Orchestra, Canadian Opera Company, Vermont Symphony, Albany Symphony, and Memphis Jazz Orchestra. Andromeda Quintet members currently hold numerous faculty positions, including at: Northeastern University, Bunker Hill Community College, Dana Hall School of Music, All Newton Music School, and Powers School of Music. 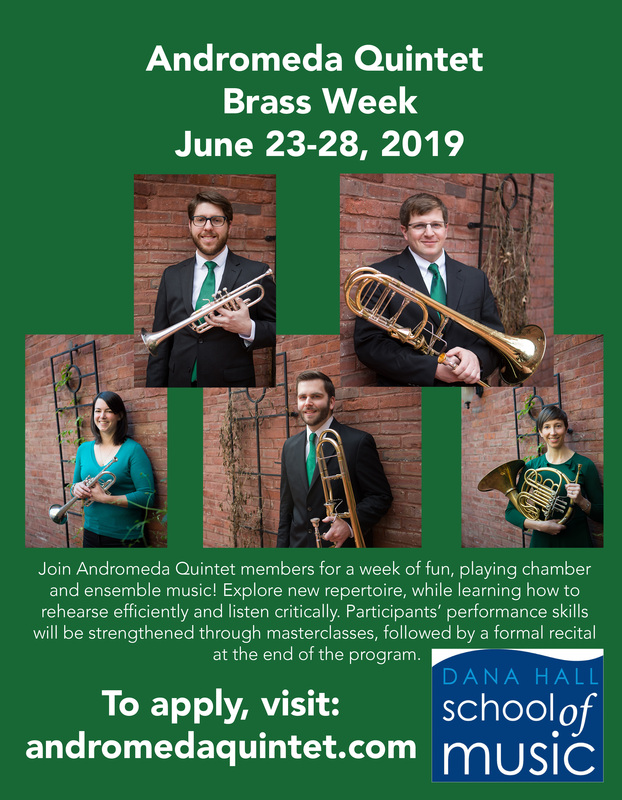 Andromeda is committed to excellence, while exploring the expressive and technical possibilities of the brass quintet medium. Highlights of the 2018-19 season include a recital at All Newton Music School, outreach performances at various churches and retirement communities and the second annual Andromeda Quintet Brass Week. Kathryn Driscoll graduated from the New England Conservatory of Music with a Bachelor of Music and a Graduate Diploma in Music Performance. She was a student of Thomas Rolfs, Michael Martin, and Benjamin Wright of the Boston Symphony Orchestra. 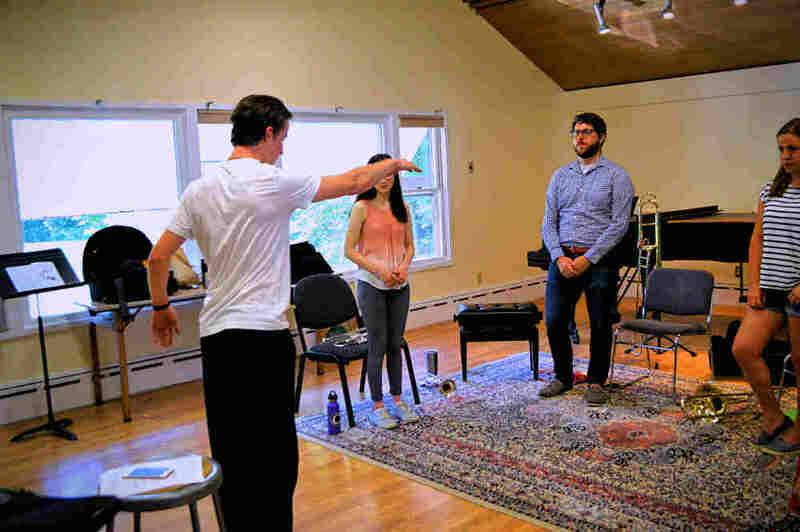 In 2012, Kathryn earned a fellowship at the Tanglewood Music Center. As a coach and player with the Boston Youth Philharmonic Orchestra, she traveled extensively throughout Europe, and has spent time in Japan teaching and mentoring young performers. Kathryn has a special interest in working with children, and has been teaching private lessons for the past few years. She remains an active freelance performer, and has worked with groups such as the Boston Symphony Orchestra, Boston Pops, Boston Philharmonic Orchestra, Sarasota Orchestra, and the Discovery Ensemble. 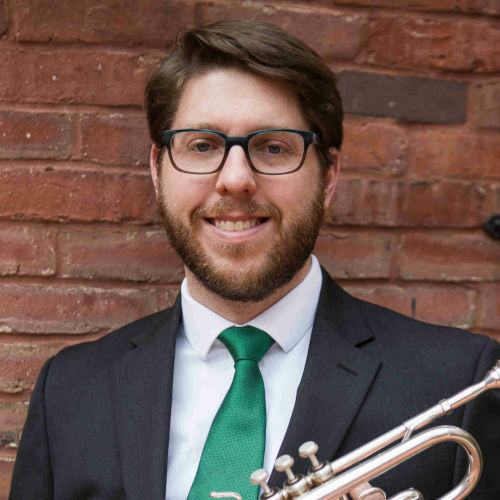 Dr. Ryan Noe is a freelance trumpeter throughout New England. Currently he holds the position of Principal Trumpet for the Glens Falls Symphony as well as Third Trumpet with the Cape Ann Symphony. 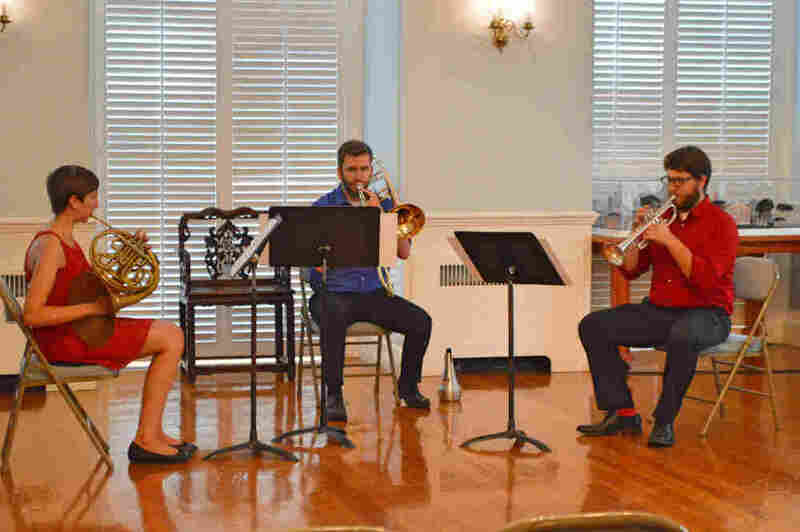 As a chamber musician Dr. Noe is a member of the Fenway Quintet and has also performed with the Boston University Faculty Brass Quintet, the Bay View Brass, Bala Brass, and the Western Brass Quintet. As an orchestral musician he has performed throughout New England with groups such as the Cape Cod Symphony, Symphony Nova, New Bedford Symphony, Boston Chamber Orchestra, Phoenix, Alea III: Contemporary Music Ensemble, MetroWest Opera Company, and the Commonwealth Lyric Theater. 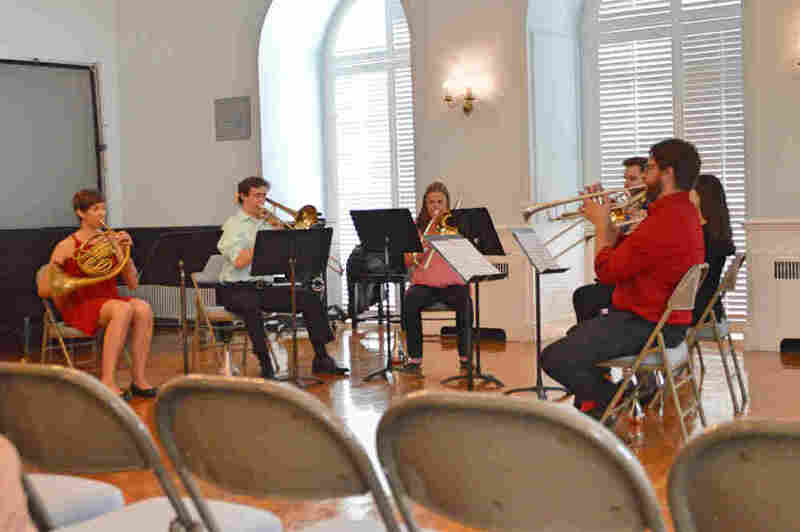 In 2014 Dr. Noe was a Semi-Finalist for the National Trumpet Competition Graduate Solo Division and in 2012 he was apart of the Boston University Trumpet Octet who performed as Semi-Finalists at the National Trumpet Competition. In the summer of 2011 he performed as a pit orchestra musician for the Ohio Light Opera in Wooster, OH. Dr. Noe moved to Boston, MA in 2009 when he began his Master of Music degree from Boston University. He continued with his Doctor of Musical Arts at Boston University completing it in 2015. While at Boston University he has studied with Terry Everson, Thomas Siders, and Peter Chapman. Prior to moving to Boston, Dr. Noe lived in Kalamazoo, MI where he completed his Bachelor of Music degree from Western Michigan University. At WMU he studied with Professor Scott Thornburg and double majored in Trumpet Performance and Music Education. Dr. Noe is originally from Plymouth, MI. Marina Krickler is a sought-after musician and educator throughout New England. Hailed for her “soaring… warmly played” solos (Boston Classical Review), she performs extensively with many of the region’s ensembles. 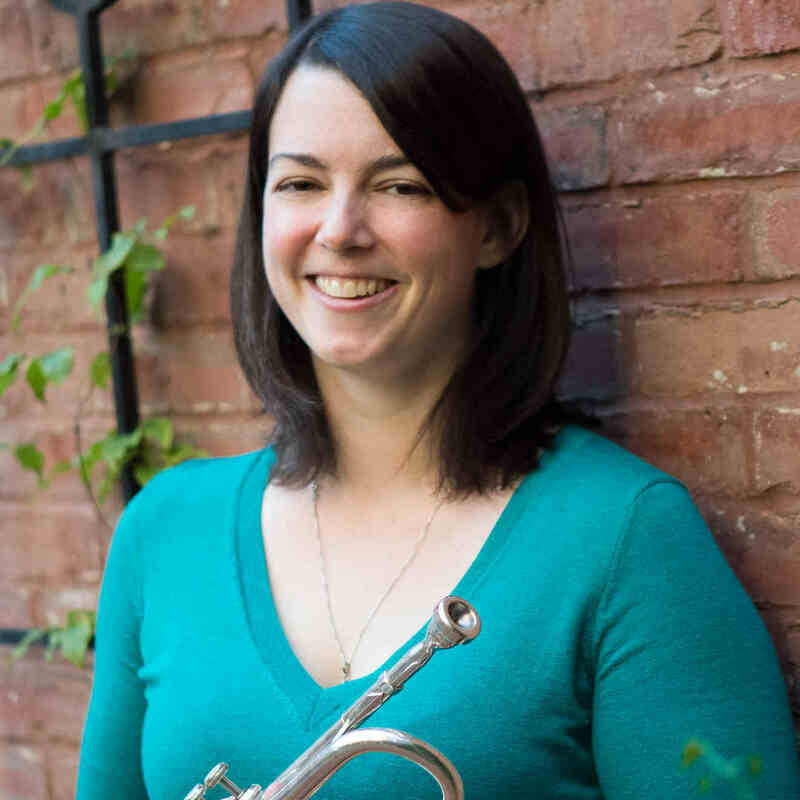 Currently Fourth Horn with the Plymouth Philharmonic Orchestra and the Atlantic Symphony Orchestra, she has also performed with A Far Cry, the Canadian Opera Company, and the Vermont Symphony Orchestra. In addition, she has appeared with the period ensemble Grand Harmonie. 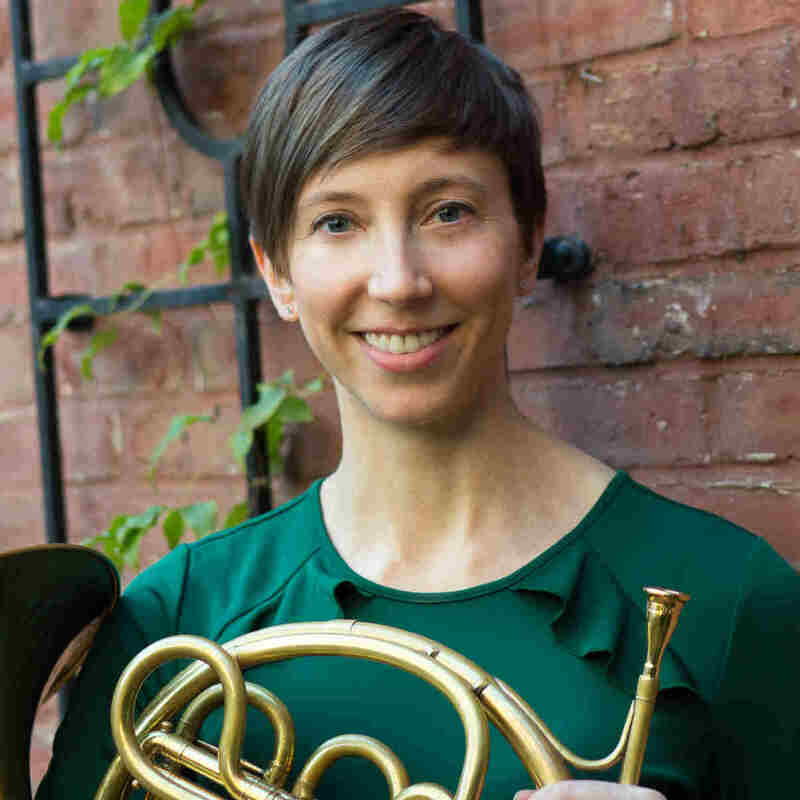 Ms. Krickler is the co-founder of the Red Hedgehog Trio, a chamber ensemble dedicated to exploring and expanding the repertoire for horn, violin, and piano. Her recent solo work includes performances with Haffner Sinfonietta, and Symphony Nova. Ms. Krickler enjoys teaching students of all ages, and has presented masterclasses in both the United States and Canada. She holds faculty appointments at the Winchester Community Music School, Dana Hall School of Music, and Wellesley Public Schools. Originally from Calgary, Alberta, Ms. Krickler spent her formative years playing piano and flute before being drawn to the horn at the age of sixteen. She holds a Master of Music in Performance from The Boston Conservatory, a Bachelor of Music in Performance from the University of Toronto, and a Music Performance Diploma from Mount Royal University. 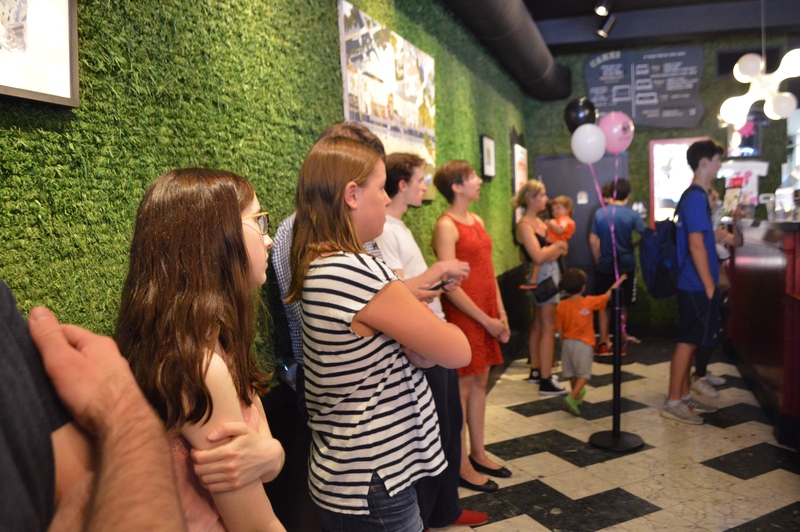 Her teachers and mentors have included Joan Watson, Eli Epstein, Gabe Radford, and Laurie Matiation. In addition to her formal education, she is an alumna of the National Academy Orchestra, the National Arts Centre Young Artists Program, and the National Youth Orchestra of Canada. 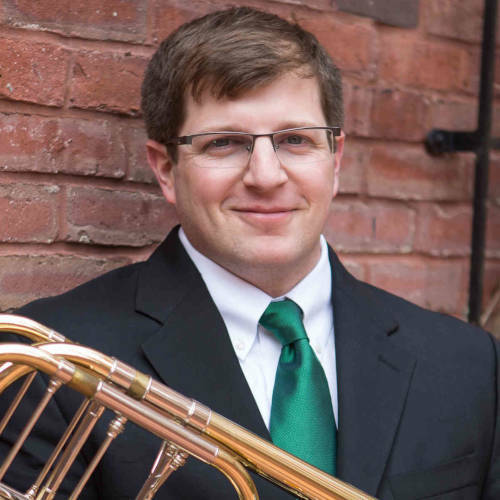 Gregory Platt is an accomplished trombonist in the Boston area, pursuing a wide variety of musical endeavors. He is currently working on a Doctor of Musical Arts degree from Boston University and frequently performs with local orchestras including the Atlantic Symphony Orchestra, Plymouth Philharmonic Orchestra, Unitas Ensemble, and New England Symphony Orchestra. He has also played with the Albany Symphony Orchestra, among many others. Gregory spent a summer with the National Repertory Orchestra in beautiful Breckenridge, Colorado where he also performed with the Breckenridge Music Festival Orchestra. He was a fellow at the 2017 Alessi Seminar in Eugene Oregon, performing for some of the greatest trombone pedagogues in the country. His talents were also brought overseas with the Music Academy International Festival Orchestra in Siena, Italy, where he performed operas with their world-class singers. 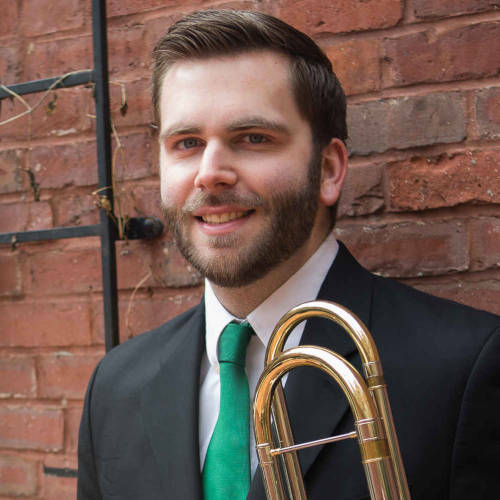 Active in national and international competitions, Gregory has placed in the International Trombone Association’s Lew Van Haney Philharmonic Prize Trombone Competition, the ITA’s Emory Remington Trombone Choir Competition, and the Minnesota Orchestra’s Steven Zellmer Trombone Competition. He is also routinely on the sublist for the New World Symphony Orchestra. Prior to his doctoral studies, Gregory received a Master of Music degree from the New England Conservatory of Music and a Bachelor of Music degree from the University of Connecticut. His primary teachers and influences include Toby Oft and Stephen Lange of the Boston Symphony Orchestra, as well as George Sanders of the Hartford Symphony Orchestra. Matthew received his Doctorate from the University of Memphis, his Master’s degree from Boston University and his Bachelor’s degree from the University of Hartford all in Applied Performance and Pedagogy. He is an active freelance musician in the greater Boston area and has had the privilege to perform in venues such as Boston’s Symphony Hall and Jordan Hall, Worcester’s Mechanics Hall and New York’s Carnegie Hall, as well as venues in Spain and Portugal including a performance in the prestigious Granada Festival in Spain. Matthew has been asked to perform with the Memphis Symphony Orchestra, the Memphis Jazz Orchestra, the Louisville Orchestra, the Kentucky Opera Orchestra, the Louisville Ballet Orchestra and the Jackson Symphony Orchestra in Mississippi and in Tennessee. He has also been selected as a participant for the Cleveland Trombone Seminar, the Pokorny Seminar, and the Rafael Mendez Brass Institute. He has also given numerous master classes at many high schools, churches, colleges, and instrumental workshops. 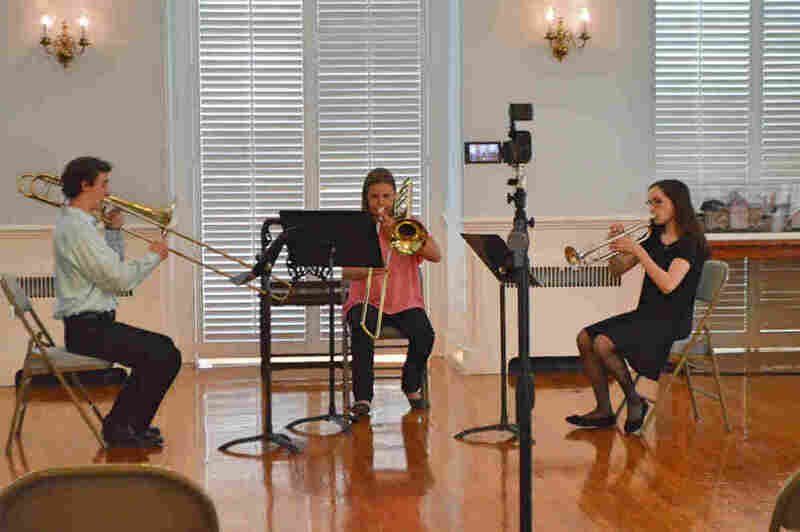 Dr. Visconti is currently the Director of Instrumental Music at Lexington Christian Academy and the Instructor of Trombone at Atlantic Union College’s Thayer Performing Arts Center. He has previously served as a faculty member at the University of Memphis, Jackson State University, Dyersburg State Community College and Arkansas Statue University’s Mid-South campus where he taught Applied Trombone, Music Theory, Music History, Music Appreciation, Marching Band, Chamber Music and Orchestral Techniques. Dr. Visconti also writes reviews for the International Trombone Journal. 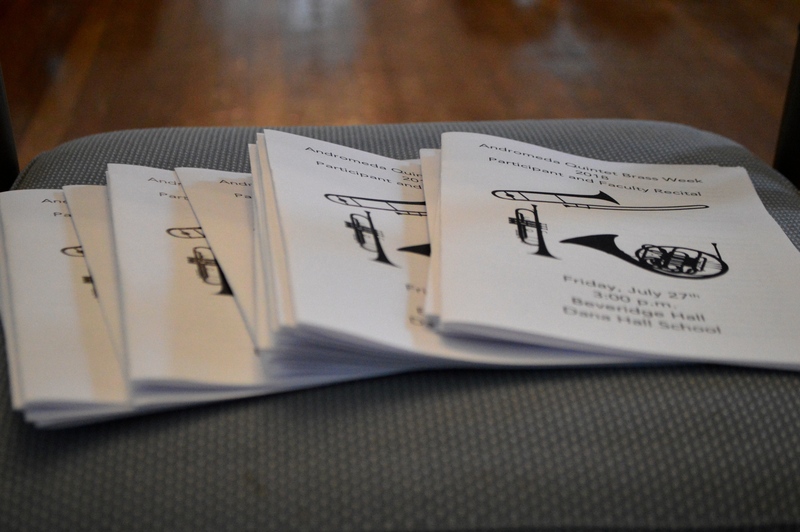 "Women at the 49th Parallel" is a sponsored project of Fractured Atlas, a non-profit arts service organization. Contributions for the charitable purposes of "Women at the 49th Parallel" must be made payable to Fractured Atlas only and are tax-deductible to the extent permitted by law. 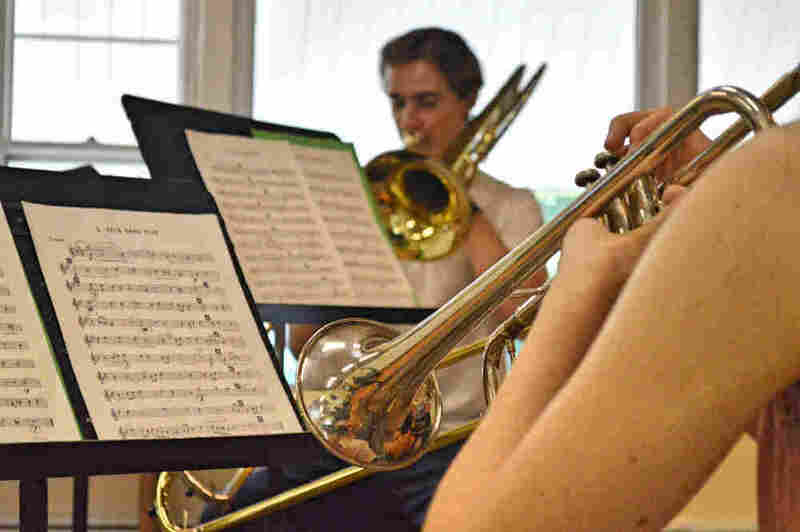 "A comprehensive brass chamber music experience directed at students of all abilities. Also a great time with great people!" "It’s definitely worth it! I think it’s a great opportunity to learn how to play as an individual, which is not something we always get in band or orchestras. For that reason, in a way I think it has put me ahead a little bit in comparison to my classmates (musicians)..."
"Andromeda Quintet Brass Week was a fun environment in which I was able to play in trios and quintets with both my peers, and professionals! There was also time for private lessons and lectures on aspects of musicianship and chamber music." 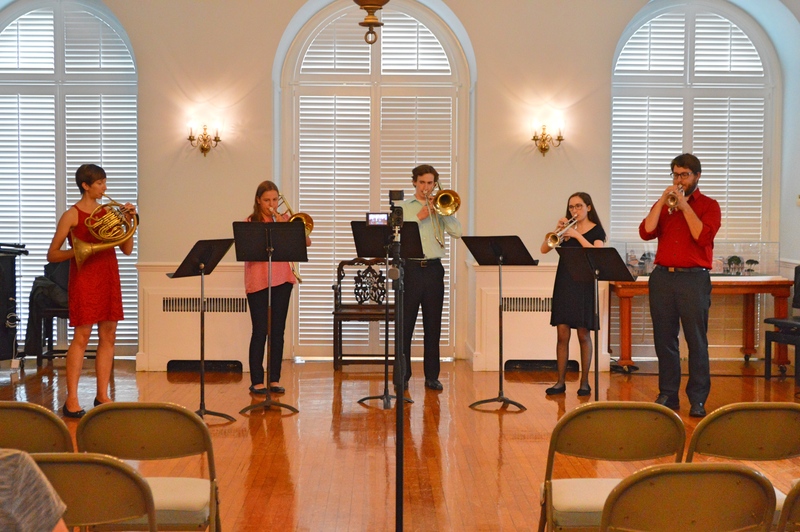 Join Andromeda Quintet members for a week of fun, playing brass chamber and ensemble music! 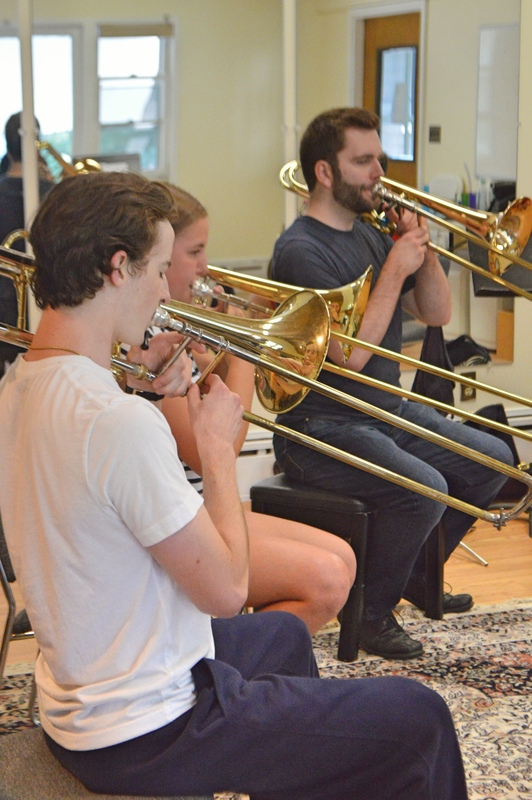 Explore new repertoire, while learning how to rehearse efficiently and listen critically. Participants’ performance skills will be strengthened through masterclasses, followed by a formal recital at the end of the program. Pictures from last year: Here! Thank you for registering! Please check your email for confirmation and payment details. Oops. There was a problem with your registration. Please try again or contact us directly for assistance.